Hey there, Passport for Wellness Active Aging Community: We hope you’ve had a healthy and active week! We’re getting Active in London! The London Episode is available with each Passport for Wellness Senior Exercise Program Subscription. In honor of September’s Active Aging Week and Healthy Aging Month, we’re asking for your perspective on active aging. Follow us on Facebook to watch the videos all month long. “Admitting that I need to move my body, and committing to moving it”. We love your commitment, Jessica! Watch her full video below. More submissions will be posted from across the entire Passport for Wellness global community next week. To submit your short video on what Active Aging means to you, send us a message on our Facebook page with your video and contact information or post your video and tag yourself on our Active Aging video posts all September long. Check out our benefits of exercise for the elderly. Senior exercise is so important for keeping both physically and mentally fit! Want a sneak peak of our senior exercise videos? Head over to our YouTube page to take short adventures around the world. Subscribe to our channel to make sure you don’t miss updates to our program in the future. 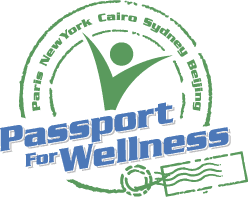 Want to try Passport for Wellness for yourself? Explore our Program and sign up for a Free 30-Day Trial Today!